Meet the Entrepreneurs in Residence for the entrepreneurial simulator 2019 programs! An Entrepreneur in Residence, a successful entrepreneur who will be your instructor on how to develop your entrepreneurial competencies. The Entrepreneur in Residence will be in charge of all the workshops during the 3-week training program. He is a Startup Coach, Keynote Speaker & Leadership Developer for modern-day entrepreneurs & visionary leaders. He is the founder of SIMPATICO Consulting, the founder of LEAVE YOUR LEGACY & the TrepCamp Entrepreneur in Residence in Boston, Massachusetts USA. Over the last 17 years, Christopher has helped hundreds of entrepreneurs & startup teams, in all aspects of business, to become transformational leaders & create impact in their business, their industry and their life with situational strategy. 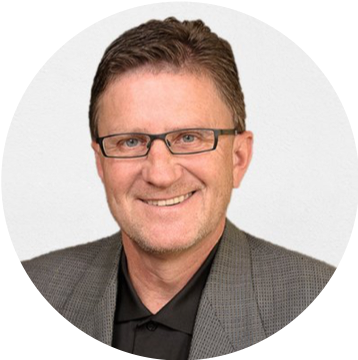 As a coach & advisor, Christopher utilizes his personalized system - The SIMPATICO Development System – to merge psychology, physiology, leadership & mindfulness into one solitary point of focus he calls “Clarity of Purpose”. He believes clarity is the conduit tethering people, places & things...to Purpose-driven success. Sangita is a serial entrepreneur. She has raised over $33M in venture capital funding, founded three gaming and video start-ups and supported many others. Sangita is recognized for establishing new ventures, divisions, and expanding into international markets as well as providing expert business strategy plans for cutting-edge consumer technology companies. Her latest company is on the forefront of the changing retail landscape - advising start-ups and brands on how to sell into the US retail market as sales shift from location (physical or digital) to becoming friction free services which anticipate and automate a consumer’s product needs. Sangita is chairperson for TrepCamp’s Retail and Entertainment Advisory Board, as well as an instructor for their advanced entrepreneurship programs at Imperial College in London, Stanford University and San Francisco State University. Dr. Po Chi Wu is an Innovation Provocateur & Evangelist and an Investor in Human Capital. Having been an international venture capitalist and entrepreneur based in Silicon Valley and Asia for more than 30 years, he offers unique insights and perspectives on the challenges of creating successful, innovative businesses. In the last 10 years, Dr. Wu has been a Visiting Professor teaching at: the University of California at Berkeley, Carnegie Mellon’s Silicon Valley campus, The Hong Kong University of Science & Technology, Sun Yat-Sen University (Guangzhou) and Peking University (Beijing). In this role, he guides and mentors aspiring entrepreneurs in the startup ecosystem, where his practical experience is most valuable to those trained in science and engineering. His most recent books are: “Angel Financing in Asia Pacific” (which he co-edited, Emerald Publishing, 2016) and “Agile Innovation: The Revolutionary Approach to Accelerate Success, Inspire Engagement, and Ignite Creativity” (Wiley & Sons, 2014), which he co-authored with his partners at Futurelab Consulting. 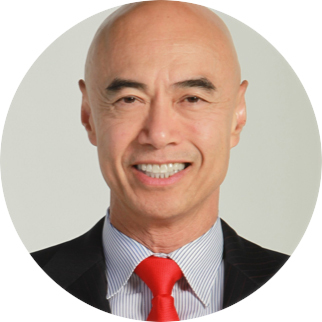 Dr. Wu has a PhD from Princeton University and a BA from the University of California at Berkeley. Bernhard has over 20 years of marketing and entrepreneurial experience both as a Senior Partner growing a $1 billion global company and as a former Chief Marketing Officer. Today, Bernhard is a Director at the Lavin Entrepreneurship Center at San Diego State University. He has worked with hundreds of start-ups in San Diego, on and off the campus, is a strategic advisor to several start-ups and is quoted frequently in both local and national media and has spoken at TEDx events. Entrepreneur in Residence at GenFKD and Co-Host of The Mentors Podcast. Vadim Revzin teaches entrepreneurship at the State University of New York. He runs programs at various early stage venture funds, has advised hundreds of startups, and has been both a founder and leader across several early and growth stage companies. Before founding Tascit, Vadim was VP of Platform and lead product manager at Waywire where he helped develop video web properties for several major publishers reaching millions of visitors, including Time Out Magazine, NYMag, BBC, AARP, and more. He involved with several high growth tech startups in the advertising and SMB marketing space, including Dashbid, Privy and Yodle. 1 years as Entrepreneur in Residence @Mexico C.
Santiago was recognized as Top Media Executive by Sexenio Magazine in 2017 as well as Top 50 young leaders from Lideres Mexicanos among other awards. Additionally Santiago is Endeavor International Mentor. He was hired by Twitter to help open the Mexico operation and help set up initial client relations and partnerships. In this role he became a consultant for top Government officials, Media companies, Sport franchises as well as some of the strongest brands in the market. Earlier in his career Santiago was the CMO for Televisa Networks, The largest Hispanic Pay TV operator with distribution in over 50 countries reaching +100M Monthly audiences. Jim Matteo founded Bird Rock Systems in April of 2004. Bird Rock Systems provides computer products, training, and services to enterprise, higher education, and government organizations. Bird Rock Systems specializes in information security, mobility, datacenter, and collaboration solutions. Bird Rock Systems has been recognized for fast growth by the San Diego Business Journal, INC 5000 and CRN publications. He is currently on the San Diego Entrepreneurs Organization Board of Directors and serves as an SDSU Lavin Mentor. Also he is a partner in CSCI, a small business IT managed services company. Jim was previously Director of Sales at Evolv Technologies and Regional Sales Manager at IKON Technology Services. Jim holds a Bachelor’s degree in Computer Information Systems and Management from Manhattan College. 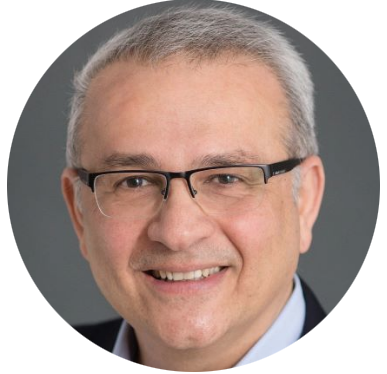 Ray served as VP of Enterprise Solutions and Cloud at ANSYS in Pittsburgh, PA. He was recruited to ANSYS from Silicon Valley to build the cloud solution products for the company. He and his team at ANSYS worked with AWS (Amazon Web Services) and delivered the ANSYS Enterprise Cloud within one year. They also worked closely with Microsoft Azure and Google Cloud. He led the production of "elastic licensing" (pay-per-use) a first at the company, which had only used leased and paid-up licensing for the past 45 years. He also worked at Narus/Boeing Defense - focused on big data/analytics for Cyber Security - as the Global Head of Engineering Operations. In his career, He also worked as the CTO for DSO & led DCD (an engineering design house) based in Dubai, UAE and Silicon Valley, California. Also he is the Chairman of the Membership Committee @ BlueTree Allied Angels based in Pittsburgh, Pennsylvania who invests in start-ups in the US & Canada. Ray became a Board member of TiE-Pittsburgh in 2017 and is active in the Hi-Tech Eco System Globally.